Rinsing the mouth is a great way to keep the mouth clean. Mouthwash is used for more than just keeping the breath fresh and smelling good, it can also help to prevent plaque buildup, cavities and gum disease. Of course, mouthwash should be used along with other oral hygiene practices, but when used together with flossing and brushing, it can help to keep the entire mouth healthy. However, it can often be difficult in choosing the best mouthwash for you and your oral needs. At Gold Hill Dentistry, we can offer some suggestions for choosing a correct mouthwash. Mouthwashes with alcohol make the best commercials! We all remember those Listerine® commercials where people are holding on to the bathroom sink as the timer ticks down until they can finally spit out the mouthwash. While alcohol mouthwashes may cause more of a “burning” sensation than others, that “burning” is doing a lot of good in the mouth. Alcohol works as an antiseptic by clearing the mouth of germs and some viral infections. Children should stay away from alcohol-based mouthwashes because they are prone to swallow the mouthwash. But adults can benefit from them. Antibacterial mouthwashes contain chemicals to help fight against gum disease and other infections. Mouthwashes made specifically to fight bacteria can be a great preventive method from developing infections in the mouth. However, if an infection is already present, a dentist can prescribe a more powerful antibacterial mouthwash to treat the infection and prevent it from spreading. Fluoride mouthwashes are recommended for those who are cavity prone. In the United States, the tap water contains small amounts of fluoride in order to promote dental health for society as a whole. However, for those who need extra protection, a fluoride mouthwash can create a protective film over the teeth. Remember that mouthwashes are to be used as one part of an entire oral hygiene program. 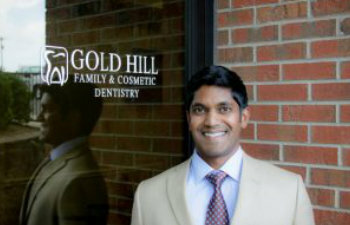 Visiting Gold Hill Dentistry twice a year, brushing and flossing daily, along with using a mouthwash are all necessary aspects of a full oral hygiene program. Contact our office today to schedule an appointment.